A senior dog is homeless in California after her family decided that they no longer wanted the responsibility of a pet. 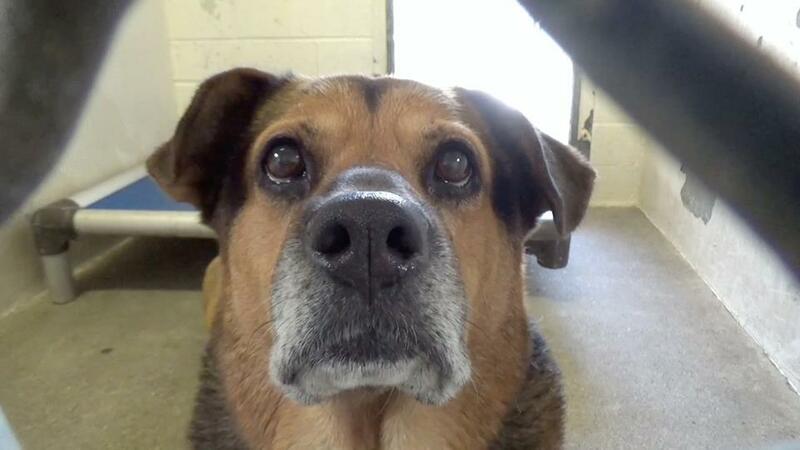 The eight-year-old dog, named Hollie, has been at the Carson Animal Services facility in Gardena since September 1. This dog was at the front of the kennel, relaxed with a soft body and loose tail wag. She had her ears back and sat down waiting for the runner to place the leash on her. She walked out nicely to the play yard. She was able to be collared and avoided greetings at the gate. She was allowed into the play yard with the other dogs, where they sniffed her and she did not mind. She continued on and roamed the yard by herself. She would occasionally approach the runners and sit very closely to them. She did not prefer that the dogs were in her face and would growl to back them away. She was appropriate with corrections and kept to herself. She did not play but would do well in a gentle/dainty groups.